"Is it true that the loss of one sense sharpens the others?" 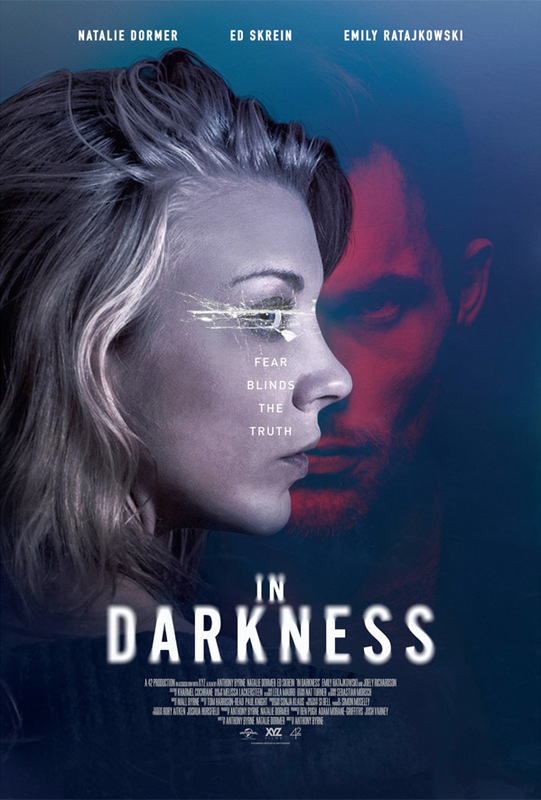 The first trailer has debuted for a murder mystery thriller set in London titled In Darkness, with a screenplay co-written by husband and wife team Natalie Dormer and Anthony Byrne. The film is about a blind musician, played by Natalie Dormer, who hears a murder committed in the apartment upstairs from hers that sends her down a dark path into London's gritty criminal underworld. She ends up way too deep in a world of corruption and murder and lies. The full cast for In Darkness also includes Ed Skrein, Emily Ratajkowski, Joely Richardson, James Cosmo, Neil Maskell, and Jan Bijvoet. This looks cool, but nothing to write home about, just a clever thriller. Check it. Set in London, blind pianist Sofia (Natalie Dormer) overhears a struggle in the apartment above hers that leads to the death of her neighbor Veronique (Emily Ratajkowski). It is the start of a journey that pulls Sofia out of her depth and brings her into contact with Veronique's father, Milos Radic (Jan Bijvoet). A Serbian businessman accused of being a war criminal, Sofia is drawn into a dangerous world of corruption, investigating police, hitmen and the Russian mafia -- a world with links to Sofia's own hidden past and a path of revenge she has kept hidden until now. In Darkness is directed by Irish filmmaker Anthony Byrne, of the films Short Order and How About You previously, as well as some TV work. The screenplay is co-written by Anthony Byrne and Natalie Dormer. This has not premiered at any film festivals. Byrne's In Darkness will open in select theaters starting May 25th this summer. Anyone interested in this?